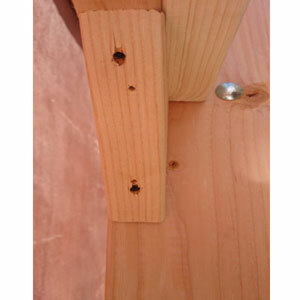 Set of 4-Solid Wood Triable Support Bracket for you Bunk Of Loft Bed. Add additional weight capacity to your bed and prevent any movement to your bed by installing Triangle support on all 4 corners of your bed. Easy to install made of 2x6 in solid wood. The size of the triangle is 6 x 6 x 6 in. Comes only unfinished.